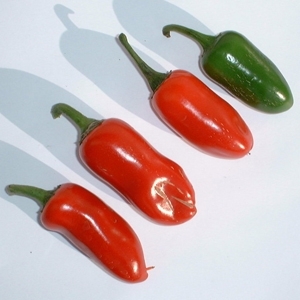 Tozer Seeds has been instrumental in developing chilli pepper varieties for UK and international markets. We have introduced hybrids with better shelf life, yield and fruit quality. 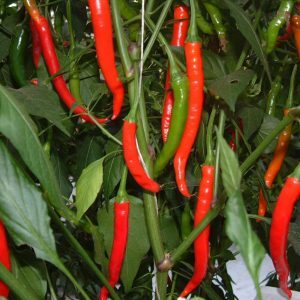 Interesting varieties from our own breeding programme include the new black chilli varieties. A tall vigorous variety. Will grow very tall under glass in UK conditions. Needs warm conditions, both day and night for optimum yield potential. Can be harvested green and red. Extremely pungent with strong aroma. A medium tall, vigorous bush type. Will grow quite tall under glass in UK conditions over a long season crop. Can be harvested green and red. 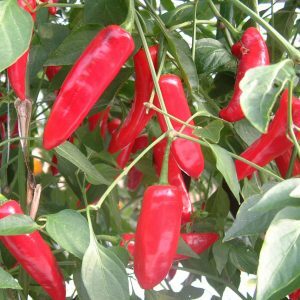 This is a classic `Indian’ hot pepper suitable for both fresh and dried consumption. Sourced from an Indian breeding company, very prolific fruit setting. Produces small lantern shaped fruits ripening green to orange. Much slower to fruit than other varieties but extremely hot. Extremely pungent with a strong aroma. Reliable producer in open field and under protection. Standard and reliable yellow Scotch Bonnet type which is versatile for both Open Field and under glass. Standard open pollinated selection producing bullet shaped fruits produced on a compact plant. Fruits ripen green to red. 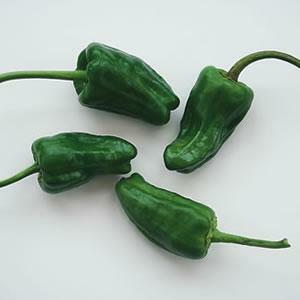 Spanish `Tapas’ pepper. Fruits are conical, slightly wrinkled with a long curved stalk. Fruits should be picked at green immature stage when only a small percentage will be hot. Thanks to its beautiful shape it can be used to decorate dishes and can be consumed in salads, sauces, casseroles and beans. Very strong aroma being a chinense type but very low pungency.